. 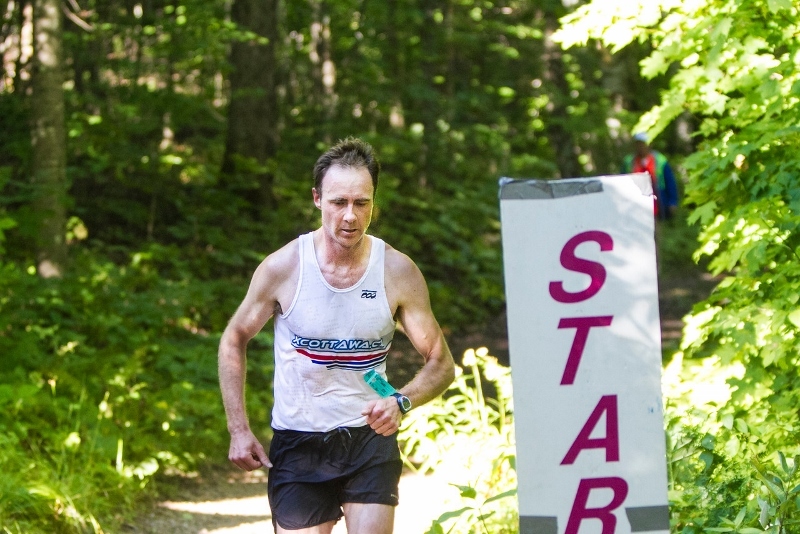 : Trail Races in Gatineau Park - UPDATED with photos from the Sri Chinmoy 10km :: Ski XCOttawa.ca :: Skiing in Ottawa and Gatineau Park :. 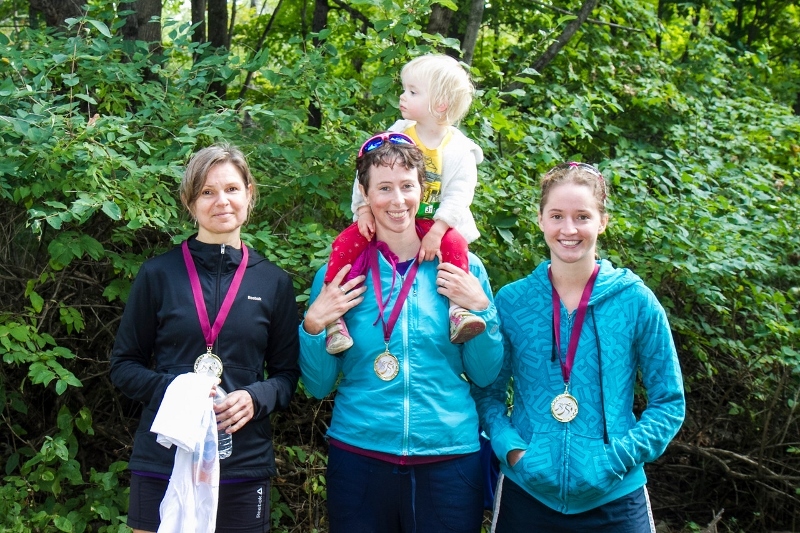 XC Ottawa members have always loved a good cross country running race. In years past we have regularly competed in the Jim Howe Memorial race and wondered why there weren't more races like that around. 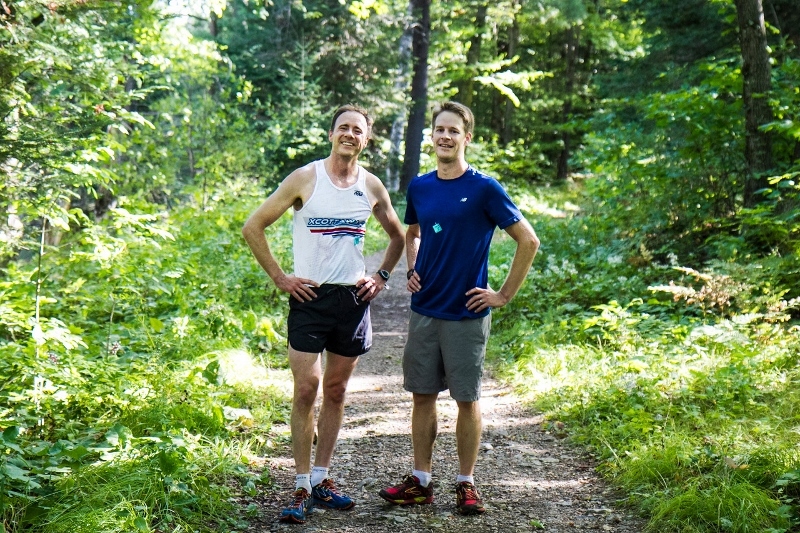 This year, we have been lucky to have had a few opportunities to race in Gatineau Park on trails that I wouldn't describe as "extreme". 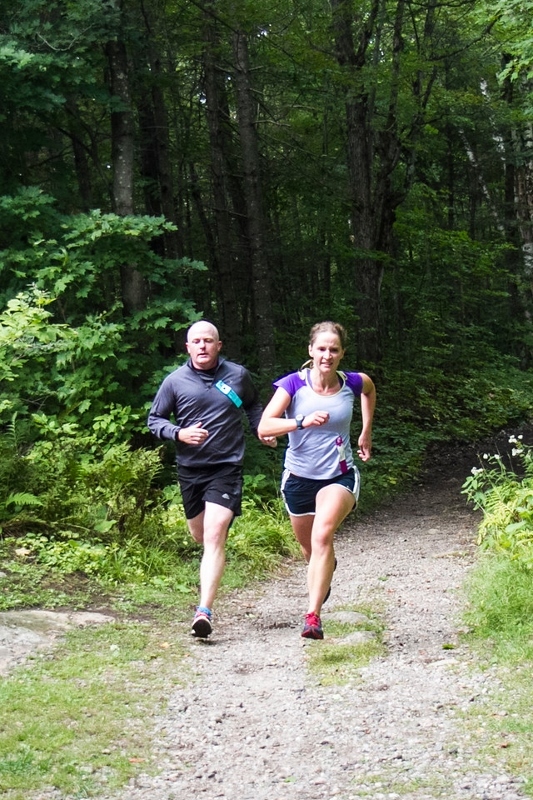 This is good for larger participation and also for someone like me who has bad ankles and finds it very difficult to run fast down the single track hills of Camp Fortune. The first race I did was in early August and was held by MEC. 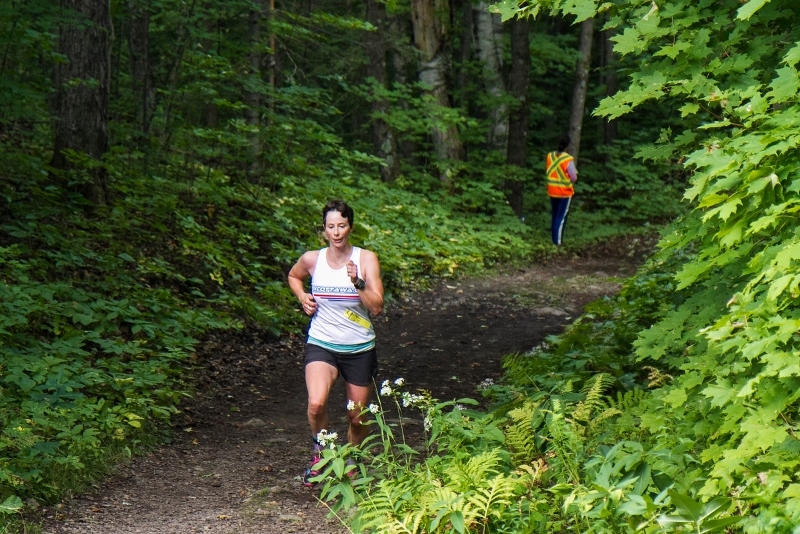 It offered a 10.6km loop starting at Camp Fortune and using trails like Burma, Ridge Road and Chicken Run (3, 1, 14). For those wanting a longer race, 20, 30, 40 and 50 km options were also available. A number of other skiers also competed, most notably the Chelsea Nordiq racing team. 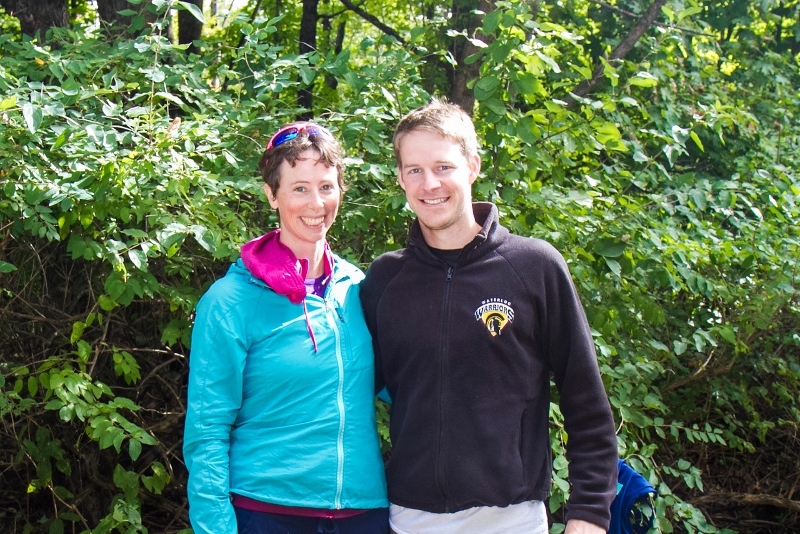 The latest race was last Sunday (Sri Chinmoy Gatineau Trail Race) and XC Ottawa skiers Karl, Ingrid and myself, as well as XC Ottawa Alumnus Gavin Hamilton were there to take it on. 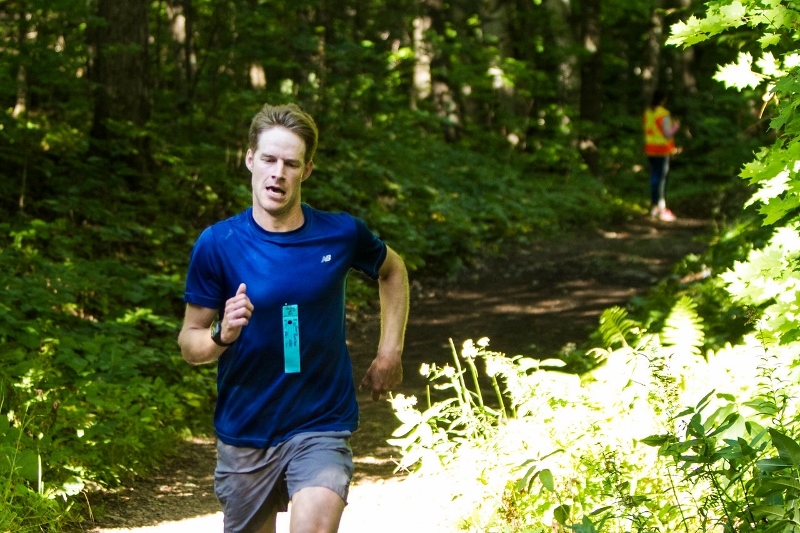 The course was also a 10.6km loop (you could do it once or twice) that started and finished at Huron cabin. The loop started by heading out Ridge Road, then down towards P12 (a lot of downhill here!) followed by a really steep climb, a short single track section on trail 21 and finally finishing up with the last 2 km on Burma (3). It was a beautiful fall day and all of the racers were treated to pancakes at Huron cabin when they finished. We would highly recommend this event to all skiers next year! !